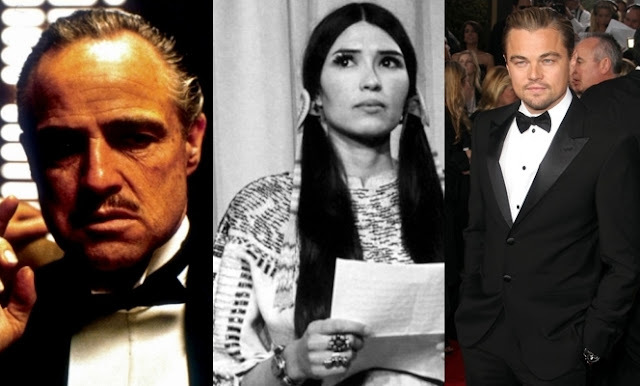 2 Oscar winners have utilized their platform to make a statement, raise awareness, or promote activism by speaking on behalf of indigenous people. We need to support leaders around the world who do not speak for the big polluters, but who speak for all of humanity, for the indigenous people of the world, for the billions and billions of underprivileged people out there who would be most affected by this ... Let us not take this planet for granted. I do not take tonight for granted. 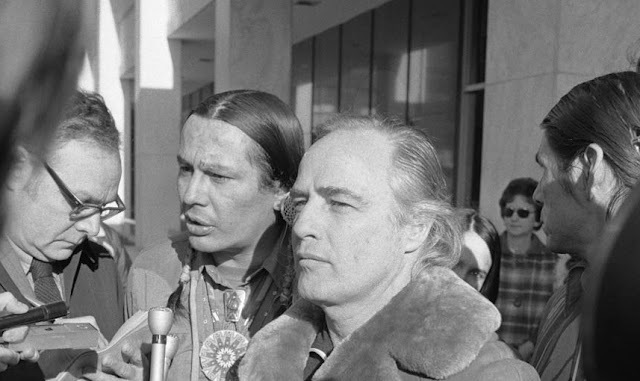 He very regretfully cannot accept this very generous award, and the reasons for this being are the treatment of American Indians today by the film industry, and on television in movie reruns, and also with recent happenings at Wounded Knee. I beg at this time that I have not intruded upon this evening, and that we will, in the future, our hearts and our understandings will meet with love and generosity. Responses to "2 Oscar speeches on Native Rights that rocked Hollywood"